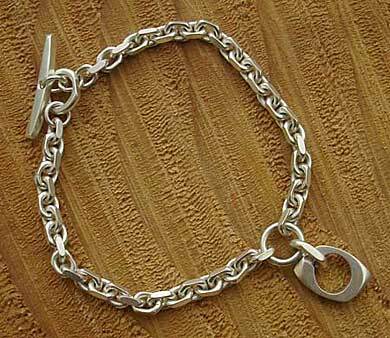 Women's Designer Silver Bracelet : LOVE2HAVE in the UK! 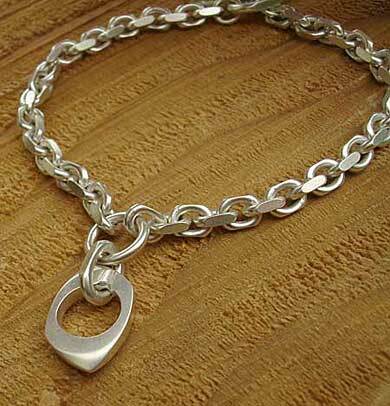 This women's designer silver bracelet is a stylish silver T-bar fastener chain bracelet that features a filed trace chain which has found to be a popular choice for men also, but this chain has smaller subtle links which we think suit women well who are looking for something very contemporary. They are a great alternative to the rounded or oval link chains that are more commonly available. 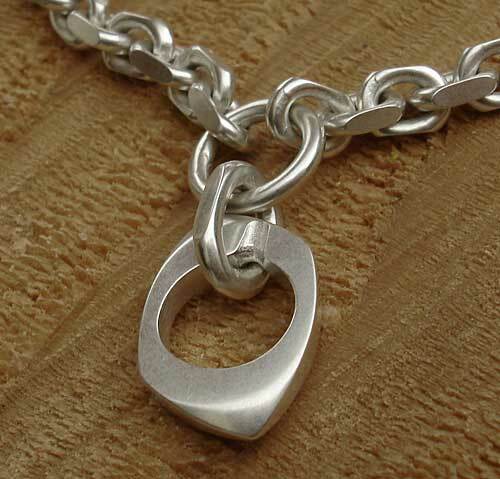 The bracelet also features a silver pendant attached to the chain with a rounded eyelet and another more substantial shaped link. The necklace is an off square design with rounded off smoothed edging. The pendant measures approximately 1.5cm x 1cm and the bracelet measures 7 inches. Longer chain lengths are available on request. Its finish is a matte finish.